This is a reminder that Quarter 1 Reports Cards are available starting Tuesday, October 23rd on the myStudent system. 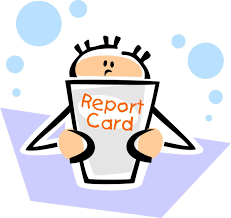 Parents and guardians must log in to their account connected to their students and select the link for the report card. As begun last school year, Pasco County Schools no longer prints report cards to send home. However, if a family does not have electronic access, the parents may contact the front office and request a printed copy that they may pick up. If you need to set up a myStudent account, please see the instructions found on our website. Thank you.